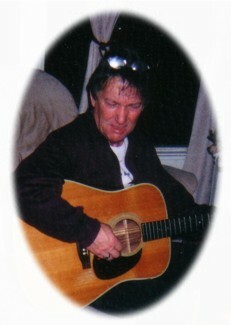 Passed away at the Ross Memorial Hospital, Lindsay on Sunday, September 23rd, 2012 in his 66th year. Bloved husband of the late Ramona Hill (Madore). Best friend of Ruth Brethour. Loving father of Dawn (Steve), Troy (Sherry), Tracy (Junior) and Shawn (Bobbi-Lynn). Grandfather of Tara, Kyle, Emily, Emma, Zack and Mikayla. The family will receive friends at Parker Funeral Home and Cremation Centre, 19 Moose Road, Lindsay on Friday, September 28th, 2012 from 1:00 pm until time of memorial service in the chapel at 2:00 pm. Reception to follow. If desired, in memorial donations to the Heart and Stroke Foundation would be appreciated by the family and can be arranged by Parker Funeral Home, 705-324-1988. Online condolences may be made at www.parkerfuneralhome.ca.